Blockchain nowadays is a trend we cannot stop hearing about. For several years already, its popularity grows up by second. Here we are to do small inside for the blockchain technology provides you with the most comprehensive exploration possible of blockchain’s applicability across the business and government landscape to know what is that, why it’s so well spread, where can we use it and how to make it involve in your own business. Blockchain technology is the next revolution in transaction recording. Blockchain grew out of bitcoin, and is essentially a distributed database that maintains a continuously-growing list of records called blocks secured from tampering and revision. Parties can therefore immediately act on a committed blockchain record, secure in the knowledge that it cannot be changed. Any kind of value exchange can happen in minutes rather than days. Blockchain is a type of distributed ledger in which value exchange transactions (in bitcoin or other tokens) are sequentially grouped into blocks. Each block is chained to the previous block and recorded across a peer-to-peer network, using cryptographic trust and assurance mechanisms. 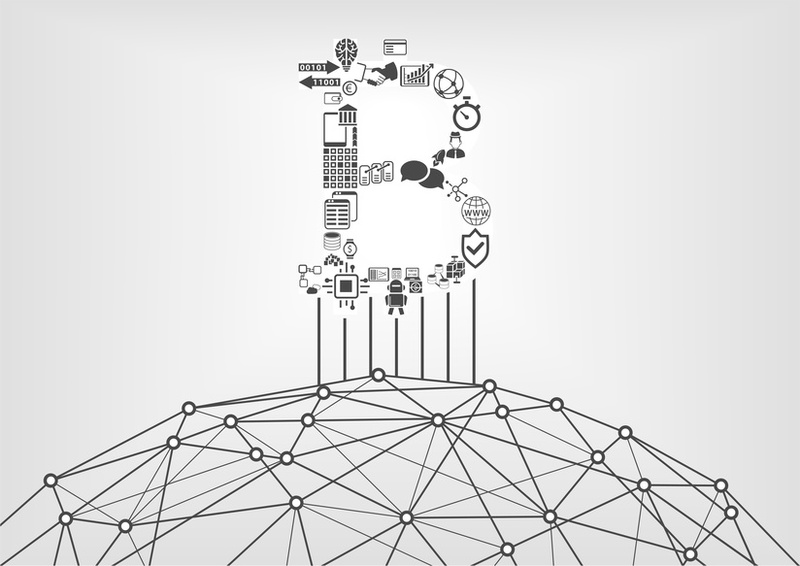 Blockchain and distributed-ledger concepts are gaining traction because they hold the promise to transform industry-operating models. To sum up Blockchain is an encrypted, distributed database shared across multiple computers or nodes that are part of a community or system. What makes it one of the most exciting technologies around is its ability to reduce the possibility of security breaches by even its own operators. If any node in a network of participants fails, the others will continue to operate, maintaining the information’s availability and reliability. Transactions on the blockchain are visible to its participants, increasing auditability and trust. It is possible to make transactions irrevocable, which can increase the accuracy of records and simplify back-office processes. Almost any document or asset can be expressed in code and encapsulated or referenced by a ledger entry, meaning that blockchain technology has very broad applications, most yet unimagined, much less implemented. Each user and each transaction are verified multiple ways. Once a transaction is confirmed six times it is considered valid and correct it is permanently sealed into a record on the public ledger as a valid transaction in the block. The blockchain has special solutions for problems that apply uniquely to the users, no matter what it is used for. Once a transaction is verified, valid and recorded in a block of data on the distributed ledger it is irreversible and cannot be hidden or altered. Users authenticate transactions as they get confirmed and recorded, then that transaction is closed and irreversible. Using digital signatures on blockchain-based data that allows access only when authorized by multiple people could regulate the availability and maintain the privacy of health records. In addition, a community of people, including hospitals, doctors, patients, and insurance companies, could be part of the overall blockchain, reducing fraud in healthcare payments. Estonian eHealth Foundation in February 2016 to accelerate the adoption of blockchain-based transparency and auditable lifecycle management for patient records. The health care sector is starting to show interest in blockchain technology as a means of securing digital assets. The companies intend to use blockchain to store health care records such as medical bills and client-physician communications to claims and disputes. The cryptographic security is likely to enhance the security of such records, while the immutable, irrevocable nature of transactions is intended to make claims processing more efficient and simplify dispute resolution. Chinese company Astri developed a health technology platform that aims to drive disruption in the traditional healthcare field with preventative health monitoring, medical computing and diagnostics. Unauthorized access or modification of critical defense infrastructure, such as operating systems and network firmware, could seriously compromise national security. For most countries, defense infrastructure and computer systems are distributed across different locations. Blockchain technology distributed across multiple data centers can ensure security against attacks on important network and hardware equipment by ensuring consensus-based access for modification. Government departments that work in silos cause the exchange of information to be delayed, negatively influencing citizen services. Linking the data between the departments with blockchain ensures that data is released in real time, when both the departments and the citizen consent to sharing data. Blockchain technology could improve transparency and check corruption in governments worldwide. Estonia, where the identit.ee e-residency project provides a strong framework for building applied blockchain services. Delaware is also getting on board. Blockchains can contain a huge amount of data, including entire contracts. The impact of “smart contracts”—protocols that facilitate or enforce contract performance using blockchain—will have a profound impact for industries. Smart contracts eliminate the intermediary, such as a legal firm, as payment will happen based on certain milestones being met. By its very nature, the smart contract is easily enforceable electronically, creating a powerful escrow by taking it out of the control of a single party. Both the European Union’s Intellectual Property Office Observatory and the United States’ Patent and Trademark Office held meetings on blockchain technology. The U.S. Copyright Office is also considering major reforms that sound a lot like the benefits of a blockchain without using the word explicitly. Microgeneration of electricity is becoming a huge trend in the power generation business. New energy initiatives such as home power generation and community solar power are filling in gaps of power supply across the world. As microgeneration adds to traditional power suppliers, it fosters creation of an energy market. Smart meters can register produced and consumed electricity in a blockchain, which allows for consumption of the surplus energy in a different location, providing credits or currency to the original producer. Energy Web Foundation is not so much a startup as an alliance body aimed at introducing an open-source blockchain designed for the electricity market, identifying use cases and helping build an ecosystem of participants. Also, Conjoule offers a blockchain platform designed to support peer-to-peer trading of energy among rooftop PV owners and interested public-sector or corporate buyers. Applications discussed for the media sector include support for low-cost micropayments, processed without fees imposed by existing payment networks, which would enable, for instance, a newspaper website to charge readers per article or per page rather than per month. Some are looking at blockchain as a way of securing intellectual property and digital creative works such as images or music. The blockchain ledger is intended to be a secure and reliable way of proving a work’s attribution and provenance. Moreover, the programmable nature of the digital block makes it possible to enforce sophisticated usage rights. Companies such as AdEx, RebelAI, NYIAX, MadHive and Ownage will use the permanence and decentralized benefits of blockchain to make digital media as well-lit a place to do business as traditional media sectors. The public sector will likely find compelling applications for blockchain, particularly where existing record-keeping methods are inadequate. For instance, Factom has reportedly collaborated with the Honduras government to pilot a blockchain-based program to record land ownership in the country. The intent is to reduce the corruption and fraud associated with a centralized registry under the control of government officials by substituting a distributed, transparent ledger instead. Other use cases include creating tamper-proof voting records, vehicle registries, fraud-proof government benefits disbursements, and digital identities for individuals, such as refugees, who lack government-issued identity documents. Stratum is a software security company that works with organizations to secure critical processes. The company’s Proof of Process Technology allows for data traceability and transparency, and creates a common audit trail secured by blockchain and cryptography. What may we expect for 2018? –	90% of governments plans to invest in blockchain by 2018. One of the outcomes was that nine in ten government organizations plan to invest in Blockchain for use in financial transaction management, asset management, contract management and regulatory compliance by 2018. –	2018 will be the year blockchain technology comes into production. Anyway, with such wide-ranging possibilities, there is no surprise that blockchain has the potential to enhance the quality of services by improving confidentiality and integrity of data. With its promise of providing secure and transparent transactions, blockchain seems poised to be one of the digital world’s key pillars. Do you see any possibilities to adopt blockchain for your business? Or maybe you have already used it? Please, share your experience and impression about being a part of this. Are you ready for collaborative attempts to brainstorm potential solutions or an action plan to overcome challenges using blockchain? Do you believe that blockchain will conquer the entire sphere during the upcoming 1-2 years? Next postWhy Dark Analytics pretends to become one of the hottest trend for 2018?